Ever get William F. “Buffalo Bill” Cody and James Butler “Wild Bill” Hickok confused? Some of our visitors do. Here, Deb Adams, Researcher for our Papers of William F. Cody, sets us straight on how the two knew each other. William F. “Buffalo Bill” Cody (1846 – 1917) first met James Butler “Wild Bill” Hickok (1837 – 1876) at Fort Leavenworth, Kansas, when Hickok and Cody (nearly ten years younger than Hickok) worked for the stagecoach and wagon-freighting company of Russell, Majors & Waddell. Hickok became Cody’s mentor during this time. Years later Cody became involved with stage acting and created the Buffalo Bill Combination to perform plays on stage. In those days a “combination” was the theatrical agreement between a star and the supporting actors during the “run” of a single play. 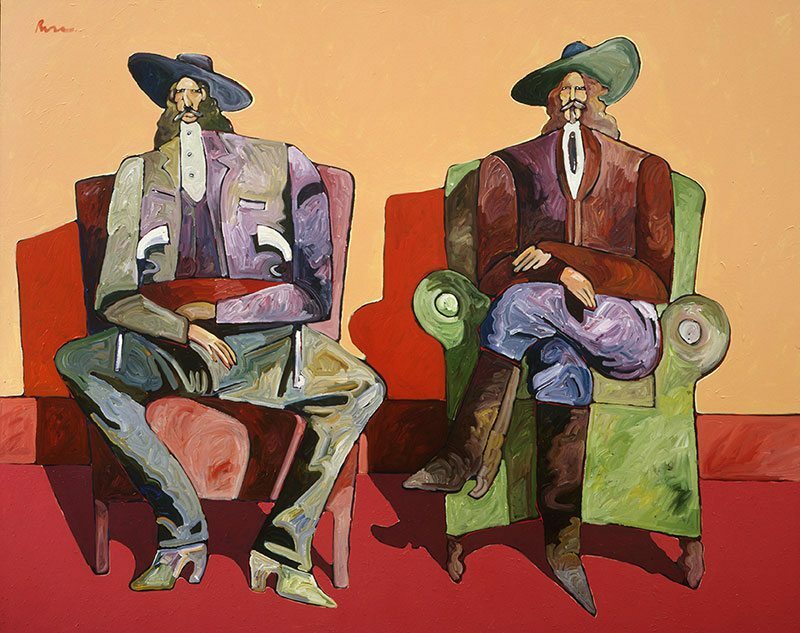 In 1873, “Buffalo Bill” Cody asked his friend “Wild Bill” Hickok, to join his combination for the staging of a play written by Hiram Robbins titled Scouts of the Plains. Hickok agreed. 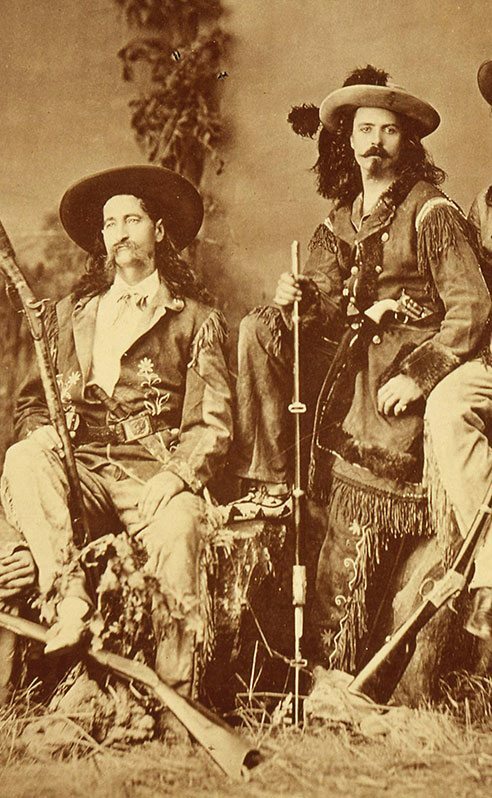 Buffalo Bill and Wild Bill Hickok first appeared on stage together in September, 1873, and during the next several months. The two demonstrated various skills of the frontier scouts/plainsmen—including the actual shooting of targets on stage. On November 13, 1873, Scouts of the Plains by Hiram Robbins starring “Wild Bill,” “Buffalo Bill,” and “Texas Jack” Omohundro premiered in Buffalo, New York, and ran until June 1874. This was the only “show” in which James Butler “Wild Bill” Hickok performed with William F. “Buffalo Bill” Cody. The two remained friends until Hickok’s murder in Deadwood, South Dakota, on August 2, 1876, at the age of 39.